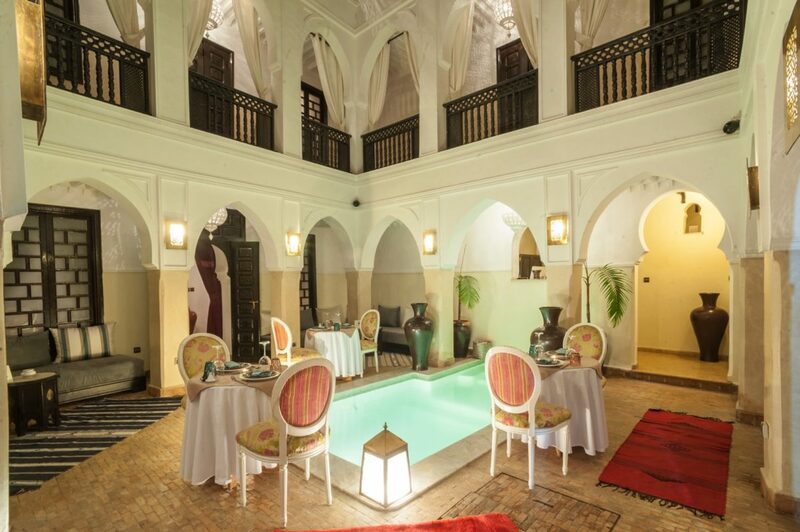 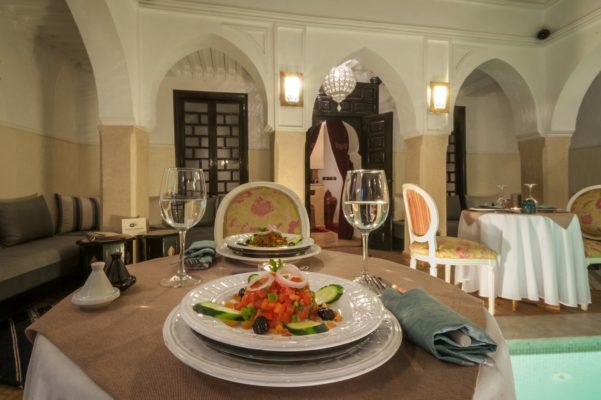 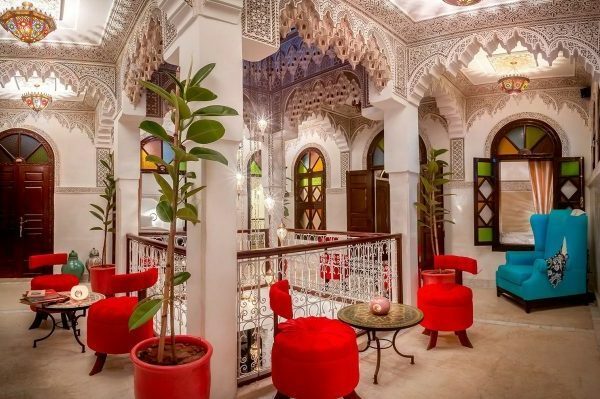 Riad Aliya is just a few steps away from the Porte Royale in colored Kasbah of the Medina, and a ten minute walk from the picturesque Jamaa el Fna. 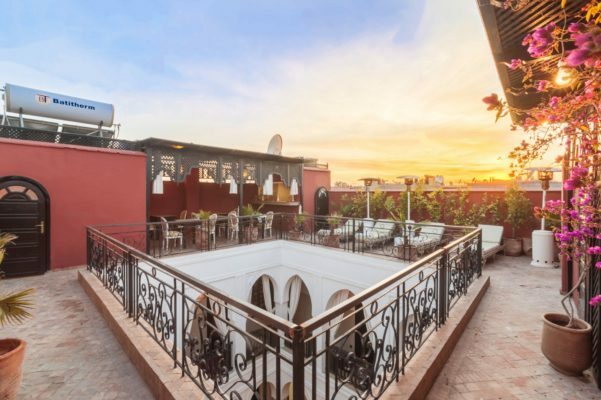 A rooftop terrace with views of the Atlas, where you can enjoy breakfast and taste small Moroccan delicacies while under the warm sun of Marrakech. 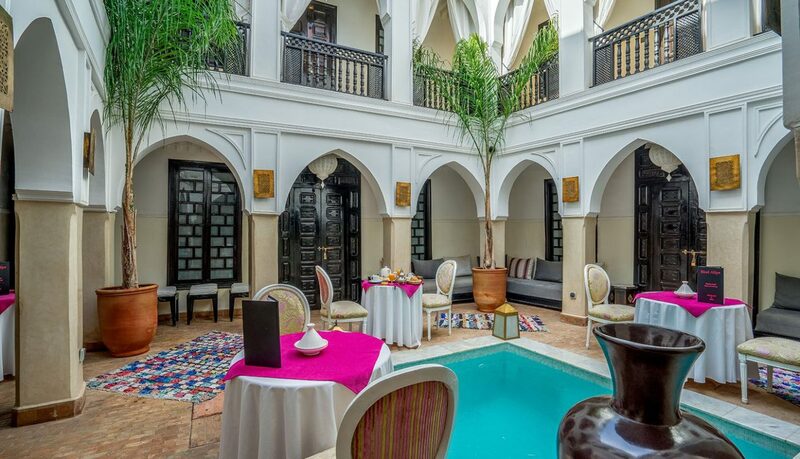 Moroccan and contemporary design distinguish the style of the five rooms and common areas. 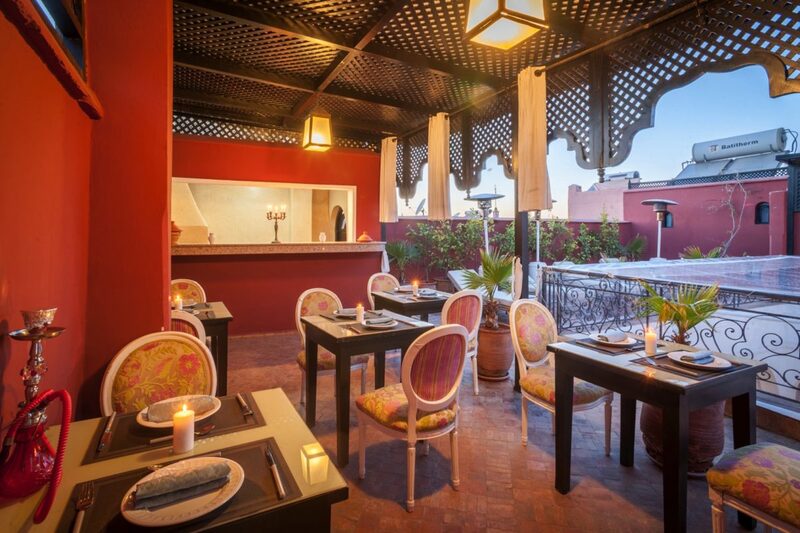 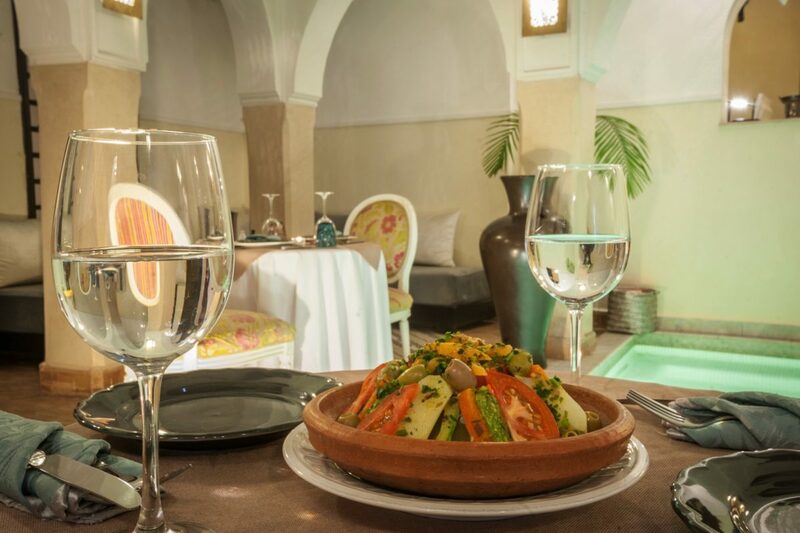 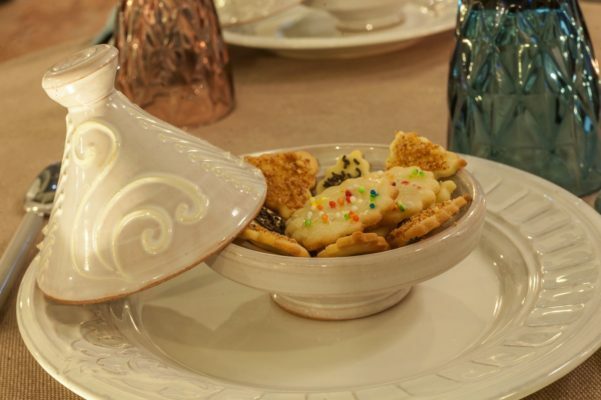 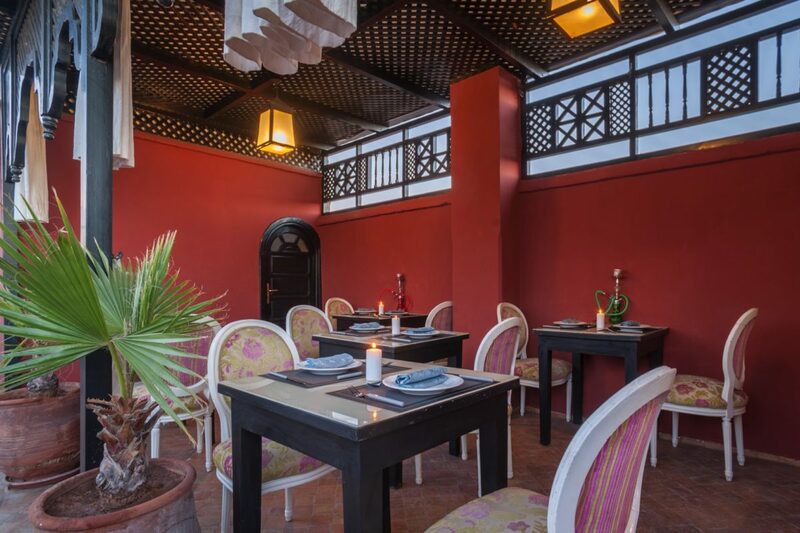 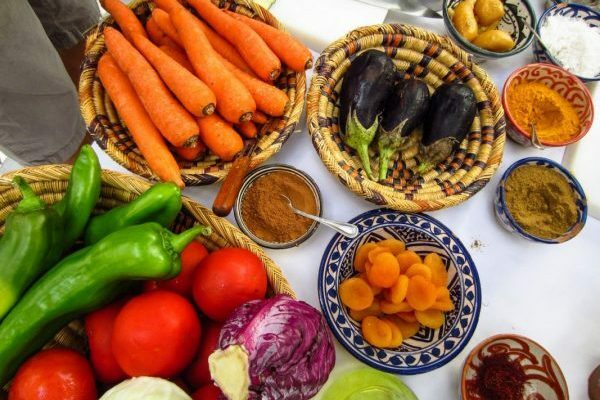 Traditional Moroccan dishes, snacks and smoothies prepared with fresh ingredients that vary according to season and availability; all served with love on the terrace or patio, depending on your desire. 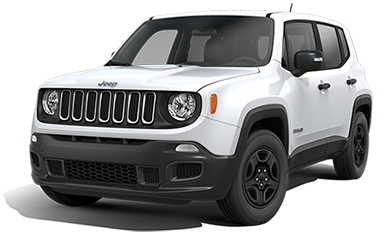 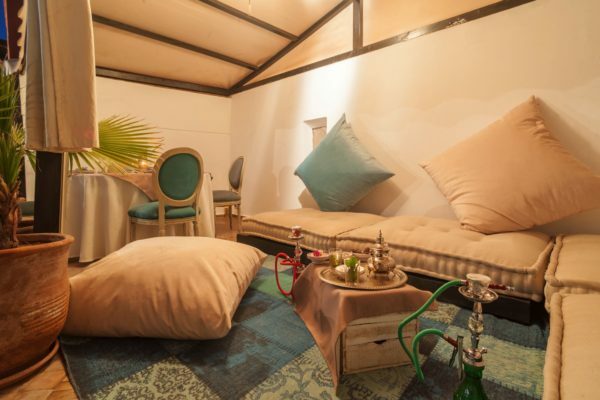 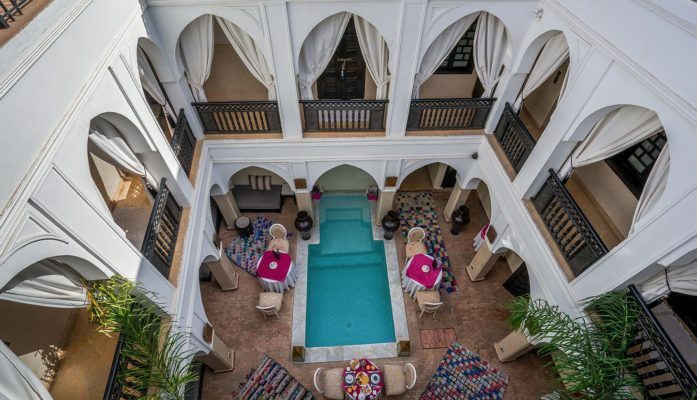 The Riad is located in a strategic position for its proximity to the airport, with direct access by car and a second pedestrian-only entrance that is located within the walls of the Medina. 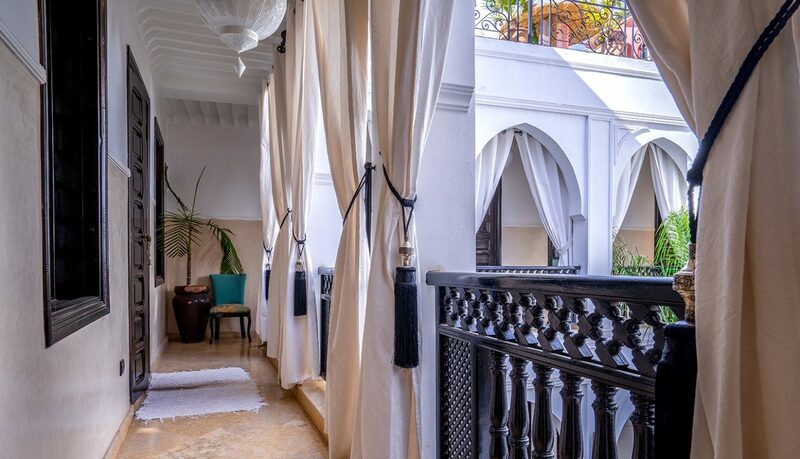 Roberta GANGI and Giancarlo DUBINI ( MARRACHIC GROUP) owners and interior designers of Riad Aliya. 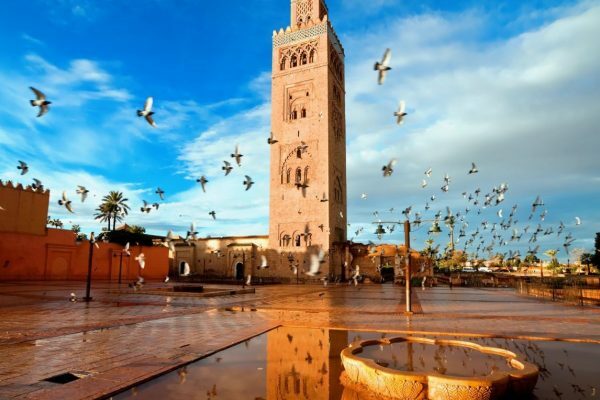 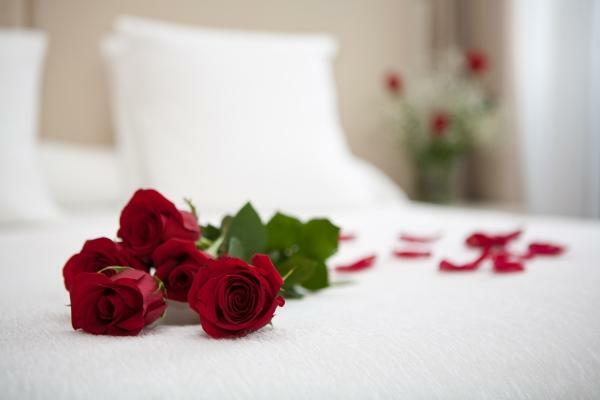 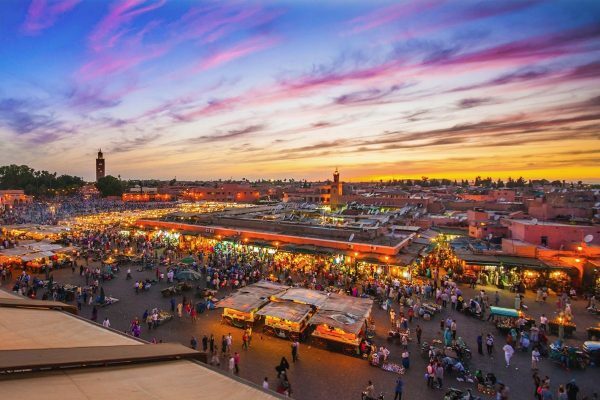 Explore Marrakech and all that has to offer from Chamade hotel. Situated on t, just a stone’s throw from Jamaa El Fna square and the souks, the riad is the ideal starting point to explore all the attractions and events of Marrakech.